Floating Pennywort has been discovered on the Witham system for the first time, this invasive non‐native species can cause issues by blocking out light, causing deoxygenation and blocking air breathing insects. In addition the plant can form large mats which can become very dense. The species spreads from plant fragments so it’s important not to try not to break up any patches as this can aid and speed up its spread. If you see any Floating Pennywort on the River Witham please report it by calling the Environment Agency’s Incident Hotline 0800 80 70 60. The characteristic leaves and growth help to make this plant easy to identify. It is found mostly in the south-east of England and occasionally in the north-west of England and Wales. Spreading rapidly. First naturalised in 1990 as a result of discarded plants from garden ponds. Can grow up to 20cm per day and may quickly dominate a waterbody forming thick mats and impeding water flow and amenity use. May out-compete native species by blocking out light, causing deoxygenation, obstructing air breathing insects from reaching the water surface and reducing water temperatures. 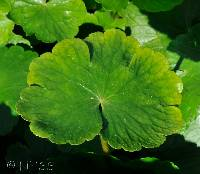 Floating pennywort is listed under Schedule 9 to the Wildlife and Countryside Act 1981 with respect to Scotland only. As such it is an offence to plant or otherwise cause this species to grow in the wild. Weed control The Environment Agency and the Canal and River Trust take very seriously the issue of weed in the River Witham. Both organisations appreciate that this year has seen particularly large build ups of weed and understand that this affects a range of waterway users. This year, both organisations have put additional effort into seeking solutions to the problem and ensuring efforts are as coordinated as possible going forward. In particular, we appreciate that weed can build up in large volumes at Grand Sluice. This entry was posted in Hazards, News and tagged News. Bookmark the permalink.